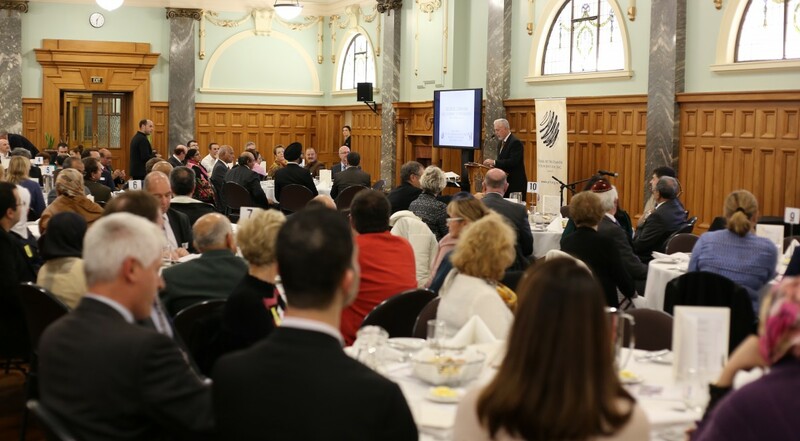 PIF’s 8th Annual Intercultural Ramadan Iftar Dinner at NZ Parliament – Pearl Of The Islands Foundation Inc.
Pearl of the Islands Foundation (PIF) held its 8th annual Intercultural Ramadan Iftar Dinner at the Parliament House during the fasting month of Ramadan. Established in 2006, PIF was delighted to welcome a significant number of guests for its 10th year. Ministers, MPs, CEOs, race relations commissioner, mayor of Wellington, NGO representatives, high commissioners, ambassadors, consul generals, directors, doctors, religious leaders, teachers, musical performers, professionals, volunteers, refugees, and fellow members of PIF made a spiritual ‘breaking of the fast’ even more so meaningful. A colourful and respected individual, former TV presenter George Donikian was our Master of Ceremony for the night. He initiated the programme and welcomed the guests. PIF director Taner Basar was the first to take the platform. He welcomed everyone and thanked co-host MP Kanwaljit Bakshi for the opportunity of organising this programme in the Parliament House. Mr. Basar explained, “Ramadan is also about community building. Although NZ is a very multicultural community, we could be even more united by establishing bridges or peace islands, closing the gap on distances and differences by having more similar community gatherings to break the stereotypes and the barriers for future generations.” He continued to strongly condemn the terrible acts of terrorism that has occurred in the past several days. A RV teacher was called on stage to perform the ‘Call to Prayer’. His exceptional voice created a silent atmosphere in which guests watched and appreciated for several minutes. Soon after, 2014 ANZAC Study Tour participant Daetona Rawiri carried out a Maori prayer. Soups were served and guests were invited to begin their meals. Mr. Karaisli was once again invited on stage to read a few verses of the Qur’an regarding the month of Ramadan. Mr. Woodhouse commended PIF’s efforts in organising iftar dinners, “I want to applaud Pearl of the Islands Foundation’s to advance that diversity and multiculturalism in our society and I think there are so many people here from different backgrounds and cultures during this special time of the year is symbolic of that.” In an attempt to reduce poverty and provide food ingredients to refugees and other underprivileged families in NZ, PIF has been assembling food parcels for the past 4 years. The Minister also acknowledged the humanitarian aid, “I thank the Pearl of the Islands that will be supplying 50 food parcels to the newly arrived Syrian refugees.” The minister was gifted a traditional Turkish plate for his attendance and speech. The night progressed and it was time for a colourful display by a traditional Turkish Sufi & music performance. The trio that arrived from Australia played a few pieces and the whirling dervish captivated the audience. Ministers, MP’s and many guests took photos and videos of the performance. Following the performance, MC George Donikian announced that it now time for floor reflections. Minister for Commerce and Consumer Affairs Hon Paul Goldsmith congratulated our foundation on our activities, “I would like to congratulate your group on the work you do and spreading that message of living alongside each other peacefully”. Barrister and PIF Advisory Board Member Brian Henry spoke about the people behind the scenes, “I’ve worked with the people in the hizmet movement (Gulen movement), all I found is people who genuinely believe in education, diversity, and building peace”, he proclaimed. He mentioned that Pearl of the Islands Foundation displays a great example of the above initiatives. Labour MP representative Hon Phil Goff from Mt. Roskill mentioned that his electorate has seen great changes in diversity over the years and that the PIF established Little Pearls educare centre adds to the multiculturalism in the area. Recently appointed PIF Advisory Board member Zhuying Shi spoke of her time in Turkey when her friend invited her to an Iftar. “It was a very welcoming gesture for me, they opened their home, we had kebabs and baklava together. I couldn’t imagine how huge their hospitality was. So, that’s my first impression about Ramadan, it’s about sharing love.” she stated. 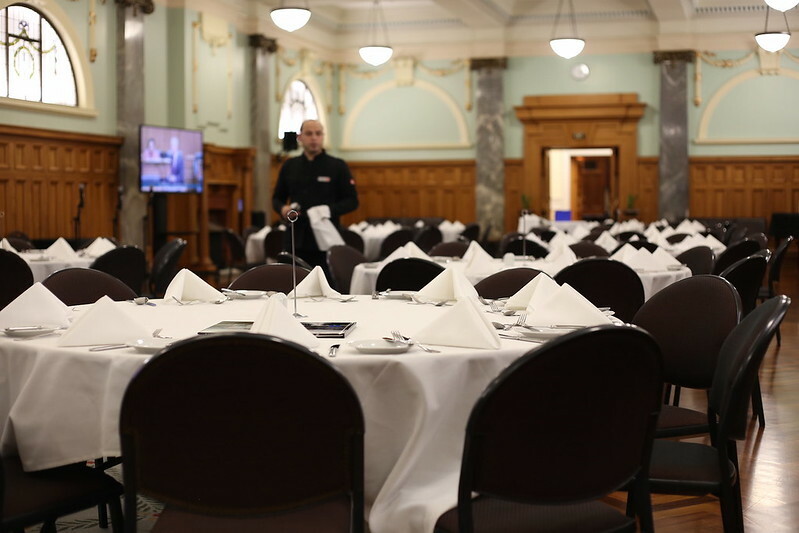 Race Relations Commissioner Susan Devoy joined us in the 2013 Parliament Iftar Dinner. We welcomed her once again this Ramadan. She congratulated our foundation for encouraging other New Zealanders to learn more about this month of Ramadan. We had a couple Syrian refugee families also join us to break the fast. One took to the stage to express his appreciation for being present on the night and all those involved in bringing him and his family to New Zealand. Papatoetoe Intermediate Principal and PIF Advisory Board member Pauline Cornwell wrapped up the night by stating the importance of education especially for lower decile areas and how personal development will create great leaders, pointing to Daetona Rawiri as a concrete example of this.